Commercial Real Estate Finance Directors and CFOs have a huge challenge when reporting corporate earnings. Energy expenses are commonly the second largest operating expense, but there is a lengthy reporting delay, inaccurate reporting detail and inconsistent timing among utility providers. 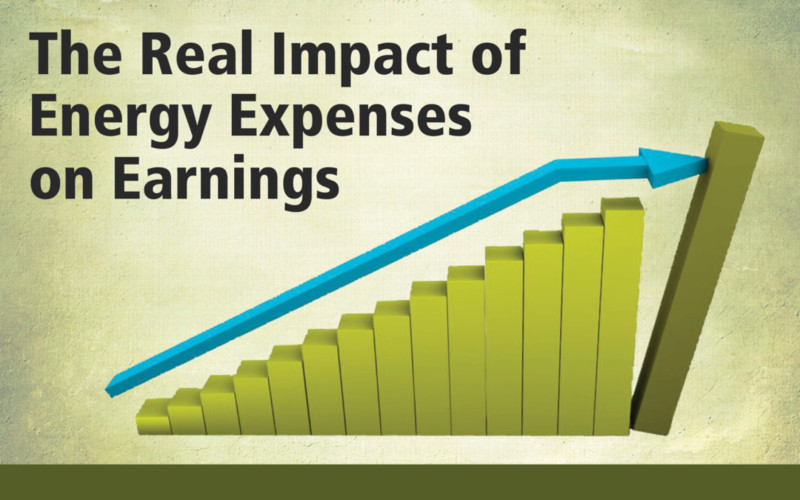 Historically, energy expenses were frequently estimated when calculating earnings. It has always been this way, and it is not uncommon for actual energy expenses to require an adjustment to the earnings report, causing more work for finance and legal staff. For more background on how this all works, consider a typical interaction between finance and property management staff, like below. Tim is the Director of Finance for a commercial Real Estate Investment Trust. Here’s a discussion he’s likely to have with Director of Property Manager, Bill. Tim: I have an earnings call and need to know the utility expenses for January; our valuation hinges on this huge expense. Bill: Tim, as I have said for the past 20 years, I have no idea. Look, I’m not trying to be difficult but I don’t get the utilities expense. Hell, I don’t even see the bill until March. I can’t predict an expense I do not see. Tim: Okay. So, what am I supposed to do…guess? Bill: Yeah, that’s exactly what I’ve done for the past 20 years! I do know the expenses will be higher than you predict because the building was on 24×7 for the past month. The only way we found out was when a tenant complained of the noise on Sunday. But, how am I supposed to manage energy when I can’t see it in real time? Tim: Well, a business called ECC just called me to talk about real time energy accounting. I had no clue what the guy really meant but now I’m starting to get it. Bill: Really? That would be a real game changer if they could control energy…then I wouldn’t have to break the bad news to you. The January energy came in 200% over budget. Good luck on the analyst call. Tim: I have these other items called sub-meters, too. What’s the deal with those things? Bill: Ah…I almost forgot about those. We hire someone to read them and send us the reading. They walk around each month and send invoices for energy based on the lease written. Bill: I don’t really know. They’ve never been checked or commissioned; looks like another guessing game! I do know that we book the sub meters as rent, which seems backward to me, especially with all this hype about operating costs. Bill: Yeah, I read the 10K and Annual under revenue recognition; they book the sub-meter revenue as rent. Tim: Isn’t it really a reduction in electrical operating expenses? Bill: Bingo. But, you know how it goes – until we bring in a consultant it’s not real. Plus, we don’t even get the readings at the same time we close the monthly books. Tim: I agree on the consultant thing and I completely understand that we don’t get energy bills to coincide with Monthly Reconcile. My team does a variance guess each month and then tells the tenants they owe us $10,000 for energy we used 90 days ago – not a real tenant satisfaction pleaser. In fact, many leases put a cap on operating expenses so we end up eating the over budget variance. Bill: Sounds like the ECC call was timely and it could actually eliminate these problems with their real time Energy Accounting and Controls. Based on simple valuation, it’s worth millions to get the energy data correct. It’s probably a few bucks on the stock price. Tim: Now you have my attention! This sounds like a real game changer and I will be able to report in near-real-time to the street. You can make estimated energy expenses be a thing of a past. With real-time energy invoice processing, you’ll get immediate, reliable, and accurate data on the actual energy expenses incurred for each property in your portfolio. In addition, automated invoice processing can reduce internal invoice processing costs by up to 20x. Learn more about BillPay from ECC.